Bryant Walker is a creative entrepreneur with a long, diverse history that led him to the world of video production. Still, he was struggling to make a living shooting videos project to project. In less than 33 days Bryant has landed $9,000 in video production clients and a $2,000 per month commercial campaign. Why Bryant was frustrated from buying a lot of “Online Programs” on how to grow his production company that never game him the FULL SYSTEM he needed… And why he now knows he will never need to buy another one! 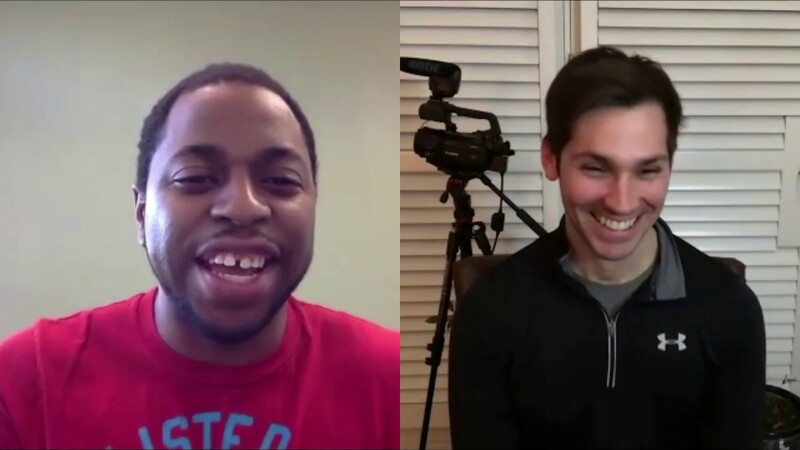 How Bryant landed a $9k production & $2k video retainer just 33 days after joining NLC. The freedom Bryant is experiencing now that he has changed to a video retainer model. What Bryant envisions for his future now that he knows how to grow his company with predictability. For Bryant, the NLC program has been a revelation in how to run his video production business. It’s time you tried a proven system to grow your business too. Paul: All right, everyone, all excited to hear from next level creators. And today I have our client Bryant Walker home with us. He is a creative that wanted to take control of his business as a creative to be able to take control of his income, have a consistent income and provide more value to his clients. And of course you’ve been working with us for maybe just a couple months now, Bryant and you’ve already brought on, uh, you know, just talking before this interview, 9,000 in production for sales, for shooting videos and setting up commercial campaigns and then at $2,000 a month retainer for three months. And, um, of course the value that you’re going to be bringing to these clients is going to be astronomical compared to that, which is really the fun thing we get to talk about after this interview. But I’m really curious, uh, you know, I love starting interviews this way. Why did you decide to become, like what drew you to this creative field in the first place? Bryant: Um, so when I was a kid, uh, I’ll keep it really sorry, a, I did art when I was in first grade. And, uh, I actually got one of my pictures that I drew in the city library, like, uh, live in Charlotte, North Carolina. So, you know, I won this competition and I’m like, oh, your arts library. And my mom was like, it’s so creative. And I was like, I am right. And I just, and I’m a funny story is, um, uh, when I was like 10, uh, I got a scooter, like a razor scooter for Christmas and I was really into like Tony Hawk and Dave Mirror and experience where it’s at the time. And, uh, I started learning how to do tricks on scooters. It was like, oh, I never seen anybody do tricks. Like I saw him in a commercial. So I saw this video about some legal school districts and I was like, oh, I want to be tricks. So I started scootering and long story short, I became a pro scooter. So I actually like, you know, could do like handrails on the type of stuff and razor scooter. Paul: I lost, I lost your video. Okay, now you’re back. Bryant: Okay. Okay. Okay. Um, so basically like long story short, um, uh, I started scootering and nobody thought it was cool locally because it was like, you know, gangster rap era, you get a black guy like riding a scooter. But on the Internet I found forums and communities and stuff and I found the scooter forum and nobody believed that tricks I did. So how I got in the video is my dad had this cam quarter with a firewire port on it that could connect to the computer. This was like 2002 or something. And there’s this trick where I took the scooter and like flip it over my head and the front flip and on those that are rent and how I realized the power of the Internet will creativity was I uploaded that video to youtube and like 2005 or 2006 when he just came out and it went viral and it got like 100,000 views on it. Bryant: So you could pack them like Bryant Walker, scooter with it. You’ll see like that string from like when I was like 14 and ever since then I was like, wow, like video is amazing. Like all these people from all over the world and stuff. We’re able to like watch my video and I’m in this little suburb and this small little southern town and there’s people in France who know me. And long story short, I ended up getting an a magazine and France when I was like 19 for scooter cause they were like, Yo, you can pack that the sport so much like you, you’re one of the legends analysis. Like this all came from me shooting some videos when I was a kid, like recording what I do and putting it on the Internet. So like I knew there was power there between like just I like and he couldn’t just like create a video. You had to like make it a video, like a skateboarding video if you had to nick here, like the videos flowed and all that. So I started learning like those storytelling elements ever since. Like any job I’ve ever had. It’s like it’s gotta be something about like sharing a story and like creating, you know, really showing people a different perspective. Paul: Yeah. Yeah. Wow. And so that’s an amazing story. I wish I was seen by 100,000 people for doing a scooter. I don’t have the scale unfortunately. Didn’t put in the time like you did of course. And so of course that’s what initially sparked the creative drive for you. And I know we talked just briefly before the interview, you’ve had a lot of creative skills that you’ve developed over the years. I mean video here, learning storytelling for being a pro scooter. I had no idea of that. Then you, you also learned how to leverage some ads for your music channel and you were actually big into music as well. So tell me a little bit about that cause I would love to hear about that story. Bryant: Yeah, so like in my family, like my mom was the super creative person, like seem like look what I do with wallpaper and it’s like something amazing on the wall. And then my dad was like, he was super like, you got a master’s degree in math and he’s very analytical computer science guy. Like he was always about business. So that’s where this like merge came together and me, it was like my dad would think like, hey that’s cool, these curators that you’re living but make some money with it. So I started making beats when I was like 17 and I was like, you know what’s, what’s cool and my dad had bought me some gear and whatnot and you know, I would just like make it to work out music. Bryant: And I was like, you know, I want to be like the best producer I want to get signed and all that. And again, it led me to the Internet and I found this forum with all these other music producers and we used to be like beat battles and stuff and this one guy was selling his beats and making like 50 k a year. So in beats. And I was like, dude, like what? Like 50 k like oh I’m in college right now. You know, you know, cause it was like 18 at the time. But I was like, you know, I’d love to learn how to like make money from what I’m doing for fun, you know. And on the website there was like a ranking system. So kind of think of it like billboard, but it’s how we ranked music producers and similar to Facebook or Google now you know you have algorithms, so it’s like if you pay ads, you know it helps boost up your ranking on that website. Bryant: And so we’d spend like $40 on an ad. It boosts, that’s up to the first page. And then, you know, we had a paypal checkout card, it was so primitive. I was doing like ugly html, but it was like, you know, Lisa would be, so I had a little music playlist. You can hear all my beats, you type in the name of the beat you want and then it’s like Lisa for 25 bucks. And I could lease like multiple beats in a day. And then I’d get like a phone notification when I was in class. Like, you know, I just made 50 bucks and people are like, what are you doing? Like are you making money? Like I’m working over here at the grocery store or whatnot and you just made $50 like, like when you’re not working, it’s like, no, I am like, I’m making beats. Bryant: And then I’m putting them out to where, where my audience was. And long story short, I ended up getting like 10 million a song plays in the million page views. And uh, they were actually like, I had this tag, my music producer named was concept beats with a cane. And my tag was what his music without a concept. So the business model was, I’m going to give away beets for free, but I’m going to tag it every 10 seconds. So you’re going to hear what isn’t a good out of concept and you had to pay me to take that tag off, you know, otherwise people, no, you didn’t pay for it. And it sounds cheap as an artist. So, you know, and then we’d sell exclusive, right? It’s like, Hey, I can never sell it. Speak to anybody else. They’re like 500 bucks and you know, I would still make money if the song blew up off of like royalties or licensing. Bryant: And Long Story Short, I had done that and I was like, you know, I can use video again to help make a name for myself. And there’s another video on youtube that have got 100,000 views for me making beats. Uh, I use like Seo and I used to like a Canon TTY. It was the camera, I just got like oh nine and I wrote like Drake type beat making video and he can search that. Like I just shows me like making jokes and making the beat in realtime. And I noticed when people saw the video, they had this connection and I sold like every time I did a video I sold the beat the same week like and I was like, wow, like this is real connection of like people understanding who you are and like connecting with you in this video. And I made like one or $2,000 a month just selling beats in college, you know like quote unquote passive income. Bryant: And you know, like that was that piece. But then again it was like 2012 the economy kind of bottomed out and it’s like I went corporate, you know, I did like a cells and recruiting and then I worked in like a marketing agency. And then I saw an opportunity again to get back into video because we saw like you see all the trends now with video and digital advertising and every company is seeing the power of video in their marketing, especially when it comes to their online efforts. And I had known, you know, I had started learning some things on my own about like paper click advertising and whatnot. And I was like, you know, I got to make this switch, you know, this is, this is like the next wave and I, I want to be ahead of the curve. Paul: Yeah. And that’s, that’s kind of, is that when you found next level creators and sort of came up? Bryant: Yeah. So like last year I really said, you know, I kind of started this journey of like I’m going to invest in some trainings to help me because it’s like there’s some stuff people who have already figured out. So you know, I got some Facebook ad training, some, you know like a video production business trainings and then like, but I hadn’t found anything that was like this merge of like a full creative business. But there’s a fine that was like how to grow your photography business, you know what you mean or how to grow your video production business. But it was like more so like here’s how you need to itemize your productions so to speak, or here’s how you need to, you know, create this. But it wasn’t like I felt like something you had said in one of your videos. It was like, it’s kind of giving the middle finger to a client when you don’t tell them how to distribute the video. Bryant: And that was one thing I had started doing. I was like, Hey, I had one client I was working with and it was, I shot a video for him. And he had this kind of like online scheduler type six, nine months. Like I think I can run a Facebook add to that. And it worked. But it, you know, and I was like, that was before this training. But then I was like, Dag, like I need something that can kind of teach me like, what if they don’t have a scheduler, you know? Or what if like, you know, like one of the biggest things that aid and seeing the program that helped me a lot is the fact that there’s like calculators for everything. You know what I mean? So it’s like, it takes out the guesswork of like, hey to the dollar. Like we can predict if this campaign is like worthwhile or if it’s just going to be something that’s just like, hey, I want to make another video. Let’s watch, well, what’s the return? I don’t know. I’ve gotten a couple of sales and it’s like, it’s not, it wasn’t as horrible enough for me. So that was like one of the things that stood out in this. Paul: Yeah. And, I mean that’s one of the things that I absolutely, I’m the same way I, when I think about storytelling, creativity, it’s like the power is in the story. And of course when you’re working with business owners, the story comes from the product or service have to work with great companies. If you’re working with a bad company, you’re telling a bad story. It’s true. So, uh, we had to find great companies, great clients with valuable offers. We take that and then we can distribute them to though with the tools that our hands now at our disposal. And um, it takes a lot of time, like there is complexity to how to run distribution effectively. Um, but that was goal was to help shortcut that learning curve for people just like you because you are someone who is 100% dead center. The type of person I want to work with. You’re smart, you hustle, you’ve got an entrepreneurial spirit, your creative is tea. I mean create weight, more creative than I am. And um, yeah, it’s amazing to see that you’re already already pushing yourself so far. Am I getting these clients? Bryant: Yeah. Well, yeah. Well, yeah, like, um, I think the, um, I think the biggest thing for me is like, you know, I just hadn’t, I had let me, my wife had our first child. Um, my daughter’s like, she’s about to be 19 months old and you, no, thank you. And the thing is when you started business and then you have like the pressure of light, like in video production, it’s like feast and famine, you know what I mean? It’s like I’ve got it. You get like, it’s weird, but it’s like you get a $15,000 job or something like that. Right. But then it can be like, you spent all that time working on that $15,000 job that there was no sales pipeline. You know what I mean? And then after you finish that job, you’re looking at, well, hey guys, how did that do for you? Bryant: Well, I think it’s working. It’s like what? Like, yeah. And then, and then you go to another client and then you’re starting from scratch again. You know what I mean? And it’s like, well, we need this. And then it’s like this buildup. And then they’re asking like, well, we don’t like the lighting on that, you know, can we like do the lighting again or like, and I’m like thinking like that no one cares about that. Like in the grand scheme of things, like if the message is on par, if you’re changing. So like there’s all these elements that it’s not business owner, it’s false. What they don’t know. But they think that just like pure image quality is what sells, you know? And I remember I had this conversation with a company one time and I was just like, you know, how much is a Superbowl commercial? And they were like, you know, millions of dollars. Right? And I was like, how many super bowl commercials do you remember? Or like, oh no, like one or two as to how many think you see, oh look, 2030 something like that. Right. And I was like, so with that being said, don’t all of them have like the most expensive cameras? Bryant: Like, yeah. I was like, so it’s not about quality makes the video work, you know? And they’re like, great point. Yeah. And they’re like, oh, so what are those things then? Because you had distribution, you know you’ve had video quality, but it was like their message was off the message been key mag and like even like, you know, diving deep, like I had started getting, I realized for myself like, Hey, I got to learn more about copywriting and things. And I started doing that too. It was like, wow, how video is really about the message. But then again, when I got into the course and I was like, there’s so many layers that I didn’t expect. Like I knew like I guess this here’s a feeling like I had seen your ads, whatnot. I know that’s similar people’s other stories. I can see her hands and all that, but you’re giving out a lot of good value in your trainings, you know, for free. Bryant: So it was like, you know, sky’s practicing what he preaches. He’s not saying like, you should market this way and I see no evidence of the way you market. It was like he’s providing the strains and then he’s falling to followup trainings and I’m learning and everything like he’s on the same path. I am looked at the type of content because like there’s a lot of programs out here where it’s kind of like a cash grab in a sense of just like, hey, we’re going to teach you Facebook ads. And it’s like, well we can teach it for everything or we’re going to do Google ads. And it’s like, so generic that is, here’s what, it’s a thousand buck course. We’re going to do a four week big. And then it’s hopefully you figure it out in the, in the, in the Facebook group versus something that’s like specialized to like, it’s the same type of people with the same type of goal. Bryant: And we’re using this medium of advertising or these mediums of advertising to serve our clients with this specific, like medium called video. You know what I mean? And this is the way that we’re going to leverage this, which is much different because those other courses or like, yeah, just use, uh, you know, um, a cell phone or use this. But it’s like, there’s so many other opportunities. Like, yeah, you can get cell home, but you can, there’s even more new creative ways to use like, you know, high level production quality stuff, but distributed better. You know, it’s like, it’s not about just like saying like it was just shooting, shoot it with anything and let’s just get it out because that’s what everyone else is doing. It’s like if we take the it basically it’s broken ones. Like I see these people understand, like if you take this seriously and do it more strategically, there’s so much value to add to a business, you know? And that’s what I want to talk to my clients. Paul: Yeah. And that’s, I mean that for one, it speaks volumes about who you are as an individual. Someone who wants to take on the obligations of your clients, that responsibility of being able to be their advisor. And, um, you know, no one else heard what we were talking about before this interview, but I mean we were talking about helping a client make a difficult decision because you know what their reality is going to be if they don’t make a change. And My, my whole philosophy is, and, and we talked about it, is we want to be able to tell our clients the hard truths, but to actually tell them because it’s what’s best for them. Bryant: Yeah. Yeah. And, and I want it to be able to do it with confidence. I’m like specifically like the deal that had come up with, you know, the, the reason owner, you know, it was like the commercial campaign and the retainer, it was like, I remember I asked you a question. Yeah. You know, put it in the group chat or the Facebook group. It was just like, you know, what angles can I do? And it’s like down to the dollar. It’s like if we hit this number, then this, the success and we know what we need to spend to get to that number. And it was just like I didn’t have that level of clarity before. So that takes out a lot of the anxiety of, you know, like you didn’t like I remember even on the call before I joined the program, it was just like, hey, this isn’t, this isn’t a get rich quick thing. Bryant: This is if you are willing to work. I have though the thing that you need to do to execute to get the result. You know what I mean? And it was like, again, when I spoke with one eye open and I’m like looking at like week one, week two go through, Oh wow, this guy’s got resources where like everything is teaching. And it’s like you don’t see it often enough. Like I hate with a passion when I paid for a course and it’s just like video for an hour with no segmentation and no context. And then like, no, like the structure put around like okay, like he was already takeaway documents or it was like you can go through each phase and then it’s also nice to say, okay, I finished this. Let me go back and revisit this. Okay, cool. And it’s organized where I could do that versus okay, here’s four weeks. Each week is an hour long. No type of context of, well you know, what was that part that was valuable to me? Again, I don’t know cause they didn’t structure it that way. So I’m kind of just left to do more extra thinking while running a business. Like I’m running a business, like I need to be able to learn and adapt and use this stuff and implement this stuff easily. Paul: Yeah. And that’s the thing like, uh, again it’s, it’s eating your complexity. My job is to make things simpler, make you faster, make you perform at a higher level so you can do for your clients. And that’s what I want you to do for your clients is to fill their businesses up with more clients and then make them start freaking out saying I need to hire more people. Bryant: Yeah. Like, like yeah, that’s like, that’s like my dream conversation. So it goes to a client and be like, like, you don’t have one client right now. And he’s like, you know, you need to be all, I want to hire another person to my team, you know, so I can open up another office. You know? And it’s just like, like, it’s like even beyond money at that point to be like, Yo, like there’s so many marketing companies, like I have a personal values, so many marketing companies that exploit people because they don’t know what makes marketing words. They just scare like, oh, I heard I needed a video and it’s somebody just started or a video. But it’s like they didn’t even diagnose the problems or anything or you know, or on the flip side it’s like, oh, I thought I needed ads. And it’s like, like I get satisfaction that it’s on. Bryant: Somebody likes to be honest, I don’t think he needs some market. What you do have, I think you need to kind of like improve with you have before you do put it out, you know? And it’s like to tell somebody no like that. And like, I could have taken your money but she would have been pissed off because I already know like, you know, like there’s no proof of this working. You don’t have any good testimonials already. It’s like if we, if we can put a video and ads on this, this is going to magnify a bad thing. So it’s like, you know, versus like, oh I have a great product and a great service and we got great reviews. What’s magnify that? That’s, that’s great. So it’s like, you know, having this type of system in place that you can go, it’d be like, Whoa, I like ran the numbers and I don’t, I don’t think this really makes sense. Bryant: Maybe here’s an alternative or hey, here’s another person I know, maybe you know who probably you’d probably just want it to a social media, your recap at this phase, you know, while you iron out this other stuff. You know, when you want to come back for a full fledged cause, like commercial campaign, you know, when you’ve got your one offer that’s crushing it or it’s, you know, building tracks from, I’d be like, come back to me. And like people aren’t used to that. They’re just, they usually hit me. It’s like, what’s your price? And they feel like they just have the leverage. But then when you come back from, it’s like, well, let’s talk for a second. If you want a discovery call for 15 minutes and it’s like, oh well thanks for those suggestions. Yeah. And thanks for [inaudible] for not just taking my money. Paul: Yeah. I tell people that all the time because a lot of people, they come into a business and they have this misconception that sales is about convincing people and that could not be further from the truth. Right. Um, sales is all of them adding value in meeting you for a heart to heart. I tell him that your time. Um, if I can’t help you actually achieve what you want in your life, there is no way I am or anyone on my team would ever make you an offer. But what we would do is try to help you figure out how to get what you want because that’s, that’s what sales is about. Again, beating people heart to heart and helping them solve their real problems in life and saying, I’m not the best fit for you right now, but if you want this in the future and you’re at this point in your life, that’s when I can help you and here are the things I think you have to do to get to that level. Right. And that’s a great, it’s a, it’s a respectful thing to do as well. So, right. I mean, amazing mindset shift that you’ve been through. I mean, it, just hearing you talk is incredible. Um, and I think a lot of people are learning just from hearing you talk, um, this, this state of empowerment, right? Instead of your new found knowledge in confidence and ability to create value for others. Where do you see yourself in the next year? Where are you taking this business now? Bryant: Ah, I see myself working with people who have already figured out something, but they’re the best kept secrets and they don’t want to be that best kept secret anymore so to speak. So like, you know, I wanted to build, don’t want to build an agency and I want to do that, but then it’s like that’s not stressful. But it’s like with the commercial campaign style system, like for me as a business owner, like I had a video product I have created for like events and stuff, but I was like, I need another service to offer my clients that is, you know, they have these advertising budgets that they want to spend big are your dollars on it. But you know, I want to position myself to be ready for that. And that’s why I invested in, you know, the next level creator because it’s like appreciate, you know, as a business it’s like you want, you have multiple revenue streams. Bryant: You know what I mean? And I want to be able to say like, Hey, I’ve got five commercial campaign clients. You know, like some clients I still have are like, if I would like to take them or the bigger, like I just need this one off thing, it’s a conference or something like that type of situation. But even sell that to them, it’d be like, Hey, we could still run a campaign. You know what I mean? Like instead of just, you know, doing feast and famine marketing, we can, you know, nurture these people throughout the year about all the great things. So when it is time to, you know, release your big business conference, you’ve already got all these people just working for you, you know what I mean? With the medic way. And it’s like, like, so yeah. So having more commercial campaigns, I’m sold. So basically all the work I’m doing and the production can be leveraged and you know, over and over and over and over and over and value. Bryant: yeah. Yeah. Like, basically it’s like, I remember I like have not launched like my official business name out to the community and whatnot. Great about to do it like this week with the reason why it’s a haul to do so because it’s like I want it to be exactly sure who I was helping and like what I was offering them. You know what I mean? Like, like, you know, when you first start, like in running my business, like I had started full time, like probably a little real lucky year, three months ago, you know, I was like, you know, you go, you’re fired up. Like, yeah, I see this change. You’re going to do this, I’m worth more than this and all that. And then he started getting punched back in the face. Cause you realize the organization literally means an organization. Like if you don’t like something that resonated in this program, it’s not just teaching like how to use ads or how to leverage, you know, um, you know, uh, better cells, you know, approaches and whatnot. Bryant: But it’s also like how do you set up your business the right way so you can grow effectively? You know what I mean? Like how are your finances set up? Like how’s your marketing setup? What’s your operations? You know, playing like, what’s, what’s your marketing? You know what I mean? And it’s like with all those buckets it’s like, oh wow, that makes sense. That makes sense now I can like, like just the, the, the, the pieces also too about mindset shift or like, like God, I wish I had to have a party had been like jumped into this. It doesn’t, it’s like you think you like my perspective is like, you know, like again from somebody’s always going through courses and all going through trainings and all that. And it was like, why would I take a training and then still feel a little empty, you know what I mean? Bryant: Or feel like something. But then like I remember I called somebody after I got this and I told him, I said, this is the last we’re hanging on by. And I said because it’s like it felt like I felt like I was 80% somewhere but this like the 20% was like, it was almost like he ain’t talking about 80 20 right. It was like actively like I knew 80% like a new a bunch of stuff. But then I realized I was like Yo, I was actually hurting myself a little bit last year cause I was just learning things like I can learn when youtube had to get learn and it was like there was no like there is a concept, you talk about your farm, I mean it’s like a business but it’s like the whole proof of concept philosophy is like why did I never like connect them. Bryant: But it’s just like that makes so much more sense. It’s like it’s so much more focused. It’s so much more, okay we’re going to use our intelligence and we’re going to use our systems and we’re going to use these things to get to this place. Now I’m not feeling on edge like out of Fomo of like what do I need to get or like in investing in this. It was like, okay, this was the right thing because this is allowing me to go down the path I need to be going. Like this is where I’ve wanted to go and this is a clear path. And it’s like the way I felt about like, cause I remember like a first like I ad it’s almost like he’s this guy, this is just another guy just talking. You know what I mean? Like you kind of go through that filter. Bryant: It’s like, you know, we all know Facebook ads, we all know like good messaging can resonate. But then when I actually sat down and watched your content, I was like, well, like I said, when I actually got into the course, it was just like I didn’t know all the layers recovery. It wasn’t just like how to do this. It was like also like how are you as a person because you need to be this type of, in this type of mental space. If you ever want to achieve goals, you know what I mean? Or if you want to get to this level where it’s like, you know what? What’s your discipline level? You know what I mean? Or like how self aware of you, like you don’t hear that a lot and like any type of training course, you know, it’s like even in my four years of college it was just like, here learn how to do this, but nothing of like where does your mind need to be to do this the right way in just like that mindset stuff alone. Bryant: Like I was, I remember I was like Dag, like these are things that are distracting me from moving forward. You know what I mean? And it was just like, I never thought something mental about my mind state needed a shifting as much as it did cause like I think I’m a pretty, you know like Oh yeah I’m pretty self aware. Right. But then I’m like it’s so simple but it’s like having somebody be like, you know, this is how the world, the world works. Like stop fighting again. You’re, you’re fighting against things that naturally could be easy. It’s like if I had a boat, like in some of the things, it’s like if you have a boat and trying to go down stream, but you’re trying to go upstream or it’s like you’re trying to swim if a waterfall, it’s like why like that? But in that, and like in our culture, you know, I’m not knocking Gary B or any people like that, but it’s just like you hear so much like just hustle, just work harder, just work harder. Bryant: And if you just keep working harder, if you wake up at 3:00 AM and you like you’re bleeding, it’s just like, I’m like, yeah, I’m working hard and working. And it’s just like, what am I doing? There’s a difference between being productive and being busy. You can be working hard all day long and make no progress. Yeah. You know? Or it’s just like, you know, you could do 20 event videos for 100 bucks every day if you live with your time. And it’s just like, that sounds like a really inefficient way to use my time and a whole bunch of clients that probably don’t respect what I do. Like, you know, I’d rather work with a client who’s willing to invest in themselves by investing in me. And I went to them to feel like my skillset and my plan is an investment into their future, you know? Bryant: And I’d rather only work with, you know, a handful of those that are like, yeah, like any, I think you said like, yeah, you know, how many people, you know, should you work with it when it comes to like, you know, should you work with startups and stuff like that. And again, when he’s darker, quickly all equal in a sense of like, oh, like, you know, all businesses aren’t created blocked out on me. So all businesses are created equal. Yeah, yeah, yeah. All businesses aren’t created equal. So what I’m saying is like, I’m trying to pitch like, hey, this is a $5,000 project and misses like, dude, we’ve only been open for three months. And I’m like, Whoa, you have a brick and mortar and looking at it, it’s like you reached a bakery, you know, it’s like, and then on the flip side, it’s like what the commercial campaign type structure. Bryant: It’s like, it gives me the confidence to go to a company that is already winning already has or this, you know, it’s this law firm or you know, like you know my niche because you had talked about like, you know, choose a niche so you can, you know, start becoming more efficient in the work to do. Not just like working hard but it was like, you know, I wanted to start reaching out to people who have, who are also creatives in the home design space, like interior designers and like home remodel remodels. Cause it’s like people spend a lot of money on those things, you know? And I know like my first deal wasn’t in that space but it was like, Yo, I’m going to execute on this. This is going to help me flex this commercial campaign muscle. Yeah. But at the same time like who are the other creatives who make good money that it’s like, well like I wrote like I like after like watching of the trainings I wrote like on my board, like who is my dream client? Paul: I did? I have, I have, well she’s my wife, but yeah, I have many mindset sessions with Miranda as well. I need them on occasion. But uh, yeah. So Brian, my last question for you today is you’ve been through next level creators, gotten clients for someone who was in the situation that you were in prior to joining next level creators who maybe they’ve been seeing a bunch of other programs out there, they don’t know what to make. What decision to make would you recommend next level creators to them and why? Bryant: Yeah, I would definitely recommend it specifically to a certain type of person. Um, and I would stay like, I wouldn’t recommend this program. Someone who’s just looking to just like, hey am I think I should get into the video and just, you know, dabble. You know what I mean? Like if somebody is looking at these programs and it’s all the subs for things, but they want something that’s literally like, here’s how you set up your business. You know what I mean? Like I know I pro like if this perverse person that is doing video and is already providing value but they want to maximize the value, then like this, this program is really a no brainer. You know what I mean? Because like when it comes to video, there’s so many places to learn how to make videos. You know what I mean? Youtube, there is, he’s just wedding film making. Bryant: There’s so many places to learn about video. So there’s not a lot of places that have taken, uh, the understanding of the value that we provide. So, you know, if you’re, if you’re making videos, you’re seeing value, you know, like me, you know, for instance, like I was doing videos, you know, uh, you know, multiple type fort figure type projects and stuff, what good size clients. But it’s just like, I was like, I want like, I want to invest in something that’s really gonna move the needle, you know, in streamline what I’m doing as a business. So I can say like, Yo, I’m going to be making 10 k a month and I can see that predictably, you know, if you’re a creative, especially somebody in the video space who is looking for predictability, like this program does provide that, you know, business model for that predictable income. Bryant: And that’s what I was looking for. I didn’t want to like, you know, I have to look at my wife in the eyes and be like, you know, hey, what are you making next month? I don’t know, like just, and we have what we have right now. I’m still bidding, you know, hopefully these bids come through. Hopefully they don’t squeeze us. Like one thing I hate is bidding. I don’t hate bidding when it’s like, Hey, big project here, 10 different quotes, you know, put your best quote in and then, uh, you know what, we’re going to squeeze you a little bit because we got four other people willing to do it for $2,000 less. So you’re going to do it for 2000 less. And then now it’s like, there’s no leverage. Versus now it’s like, Hey, I have a lot of great value. You have a lot of great value as a business. Bryant: Well let’s partner together. And there’s that mutual respect. Like, if you’re a creative who’s looking for that respect to, you know, to see eye to eye with a business owner and talk the numbers type situation, it’d be like the student knows what he’s talking about. Like, you know, like he’s not like they’ll look, they’ll see like he knows what he’s doing, we trust him with this investment because he understands like this is going to take us to the next level and he knows exactly or she knows exactly what to do that this is who this is for. You know what I mean? Like I have a lot of confidence to go to a company that is the national brand and say, or national franchise and say, Hey, these are some, some things I see with you guys that could really take you guys to the next level. Bryant: I’d like to implement this, uh, the system, you know, and uh, we’d like to partner with you and really guide you through this together and been really like, take what you’re doing that’s already great. And then like spreading it like wildfire in a way that’s not only effective but it’s measurable. It’s like, well shoot, like that’s what I wanted before this program. It’s like I have that now. So it’s was like, if you want that, like that’s what this is. So yeah, it’s like it isn’t an investment, but it’s not an investment. I feel like, ah, I got burned. You know what I mean? It’s, it’s like I got in there and I was like, wow, like this is good. Like I, I know I have to, to, to do my part now because of course, deliver it on instacart. Paul: I am here for you every single week and the rest of our team is here for you every week. That’s the way we work. Um, lifetime relationships. I grow as you grow and that’s our goal. So I’m really excited to, uh, to help you get to the next level. And thank you again so much for sharing your experience so far. And we’ll do another one of these interviews and two years and we’re moving from 10 k a month to that. A hundred km on Thor. A lot sooner than that, I hope. Bryant: Yeah, this is, this is definitely awesome. So if you, this is something that you know, you, like you said you’ve been looking at it. I had been looking at it for months and I was like, eh. And then I was like, ah, let me just get a little call. But then also, so they, I actually did it, went through it, got it. And I was like, this is, this is legit. Like I can’t, I wouldn’t put my word on something that I felt like wasn’t legit. Like they didn’t impact me. Like even when you see like your wife, like why you talking like that? Like numbers and it makes you sound like, you know, are like, yeah this is, this is how the world works. Like don’t you understand? Like these are like you’re doing too much effort in this. Like why don’t like to know how to enunciate. It was like, wow, like not only is it helping my business but it’s transformational into what I’m becoming. It’s like it’s, it’s very weird to say, but it’s cool, but it’s like Yo, like it’s helping me be a better person in a, in a sense, you know what I mean? Like maximize who I am. And it’s like, I know on the Internet watching something like this, it was like, okay, this book. Right. But it’s like, no, it’s like this is literally something that I feel like it came. Hmm. Bryant: Like, you know what I mean? For me. And it really helped me push through and get to my next level of confidence. Paul: Yeah. That’s great. I mean, I could not, I have goosebumps. I can’t shut up. And it’s amazing for me to hear that. Um, and uh, there’s a lot of, there’s a lot of things you’ve learned. There’s a lot you have let yet to learn. And that’s one of the beautiful things as well. Our program is not about studying our concepts. Our program is about living then, and you are in that journey right now and it only is going to get harder and better at the same time. So, um, thank you so much for your experience. Brian.